Pedestrians are out and about on the streets of Boston on a daily basis. There are over 600,000 people who call our city home in addition to the thousands of tourists that visit throughout the year. This means that you cannot go anywhere in the city without encountering a large number of pedestrians. This pedestrian accident on Clarkwood Street is a reminder that pedestrian accidents occur every day across our city. In this crash, police are still examining the circumstances which led to the accident. Ultimately, the outcome of the police investigation will help determine whether the pedestrian has any legal claims against the driver. Whether the pedestrian was in a marked area, whether the pedestrian looked both ways before crossing the street and whether there were any distractions leading to the crash will all be important things considered by the Boston police in deciding who was responsible for this crash. Pedestrian accidents in which a driver is at fault can lead to a legal action against the driver for negligence. 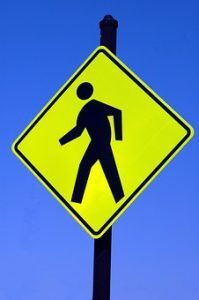 In such actions, the pedestrian has the right to recover for injuries and losses that they sustained in the accident. This includes pain and suffering, lost wages and out of pocket medical costs, including prescription medication expenses, incurred in the accident. If you have experienced a pedestrian accident in our city, you have legal rights and need to speak with a personal injury attorney immediately. At he Law Offices of Jeffrey S. Glassman, we focus our practice on personal injury, including pedestrian accidents. You should not try to handle a matter like this on your own, there is too much at stake. To discuss your case with us for free, please call us at 617-367-2900.